Enter the fictional world of Calradia, it is devoid of magic and high fantasy elements. Instead you are sent into a world very similar to our world in the medieval ages. Each faction in the game is based off of real world cultures, this is reflected in their weaponry and their armors. You'll experience role-playing mechanics for the main single player campaign, a full open world that allows you to venture anywhere. There is also online multiplayer, you'll experience many competitive modes and dedicated servers. When beginning single player, you'll be tasked with creating your character, selecting their backstory, choosing their skills and attributes, then you can choose to go anywhere in the game's world, you'll encounter plenty of action and people in your travels. It plays like a Role Playing Game with stats and skill points. Become a lord of your own keep and have your own army of fighters. You can also marry people for political gain, or because you fancy them. The game play of this game is very unique, it is easy to learn, but it is hard to master. First/Third Person - You can play the game with third or first person, both camera settings work well for this game, everything is rendered in first person, you can see your legs, your arms, and you can even look around as you move. You can see your attacks and there is a setting that allows you to see which direction your attacks are being made for, this'll help you line up your shots. it might even be the best first person I've seen in a video game. 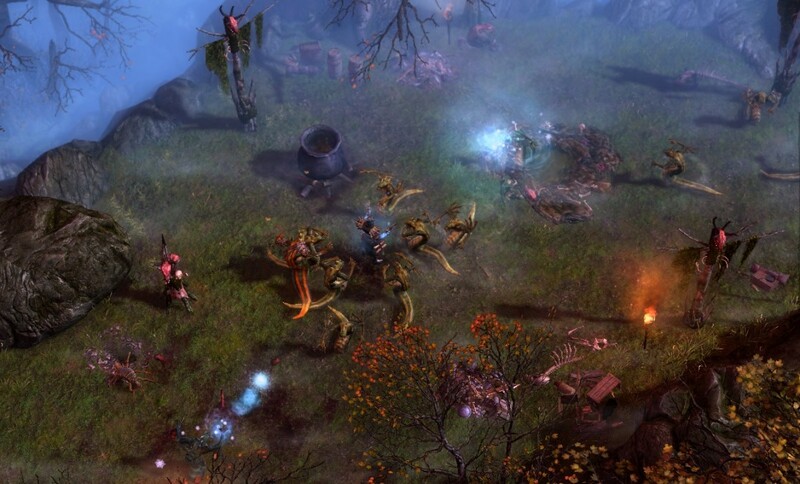 Melee Combat - Combat is split into four attack directions, overhead, left, right, and thrust. You can customize your settings that are fitting for your play style. You can choose to make it attack relative to your enemies position, manual mouse movement, and movement keys. Blocking is similar in melee combat, it is split into down, up, left, and right. They also can be customized to your playstyle and use similar settings to Melee combat. Now to go into weapons and different types. This game is extremely realistic and very punctual with giving you an authentic medieval war game experience. Shields - Shields are extremely important in this game, there are many types, but they are all used to defend yourself from attacks and most importantly - defend yourself against enemy archers. The types you'll come across are kite shields, bucklers, and board shields. Shields also have durability and will eventually break and leave you defenseless, you can scavenge another shield from the battlefield. Health - Health is symbolized as a health bar in the corner of your screen, it will not regenerate if you're damaged, so be sure to be cautious and pick your targets that you have an advantage against. Also keep your shield up! 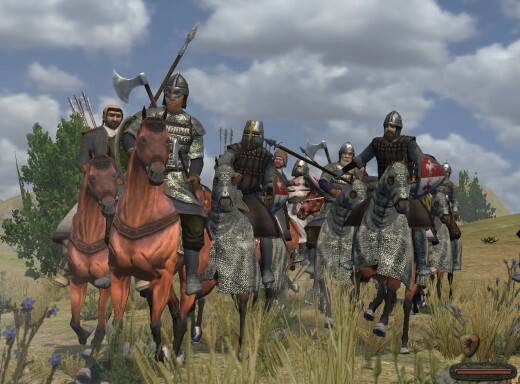 Spears - Spears main use in Mount and Blade are to kill cavalry troops, they can be used against enemy soldiers to a good degree, but you might find them not very effective against opponents using shields. As well spears, only have a thrust attack when equipped with a shield, you can holster your shield and use the spear two handed, this will give you more attack directions with it. Swords - Swords are split up into two categories, one handed and two handed. One handed swords can be used with shields and swing faster, they do reduced damaged compared to two handed. Two handed swords are great offensive tools, but they leave you defenseless with no shield, you're open to enemy archers and will have difficulty against opponents with shields. Axes - Axes come in one handed and two handed weapons. Most one and two handed axes are reserved to the Nordic faction. Each faction has at least one of each category. Axes are useful against shields, they have the shield breaker strength, this means they do more damage against shields then any other weapon. 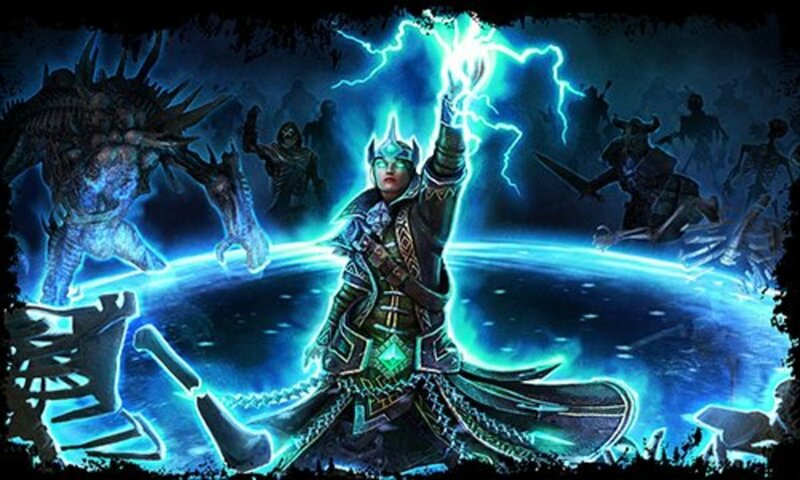 Maces - One handed and two handed maces are included in every faction. They have the chance to knock an enemy to the ground, this breaks their defense and leaves them open to an opportunistic follow up attack from either you, or an ally. These are useful against heavily armored opponents. Armor - Armor for is split into gloves, boots, helmet, and armor. The heavier the armor the slower you'll move as a tradeoff, but you can take more blows from arrows, and enemy attacks and survive. You can customize what armors you wear and you can be a light armored fighter, a heavily armored fighter/archer, or an medium armored fighter, giving you an edge over both types. Thrown weapons - There are many throwing weapons available for each faction. Some are unique to only a faction, like the Nord's throwing axes. There are many types, war darts, javelins, and jarids. Bows and Crossbows - Bows work like you'd expect from other games, you nock an arrow and pull the drawstring back, you take aim and line up trajectory and fire at the target. You can't hold the drawstring for long before your aim slips and becomes less focused. So taking a quick shot when you know you can fire and hit a target, is very crucial to success. Crossbows work a bit different, they are better at piercing armor and can be primed to fire and you can sustain aiming, this allows you to line up your shot and can give you an edge over bow archers, unfortunately crossbows take a longer time to reload and you must remain still when reloading. Be sure you're safe when you decide to reload your crossbow. Cavalry - Each faction has a troop type that uses a horse, some might have horse archers, another might use lances and spears to harass and affect a faction's attack line. You can use your horse to your advantage of using momentum for delivering instantly fatal blows, you can also interrupt a troop by trampling them with your horse. Scavenging - Say you're the attacking team in Multiplayer's Siege mode, one team defends and the other team attacks a castle or location. Defenders tend to stack up on archers, more archers means more arrows being fired, this will leave a battlefield littered with arrows, javelins and other thrown weapons. You can run to these and assuming you're the correct troop to use them, you can pick them up and use them for your own usage. Napoleoic Wars - Taking place during 1814. You'll be a soldier for one of the many nations, Prussia, France, United Kingdom, Austria, and Russia. 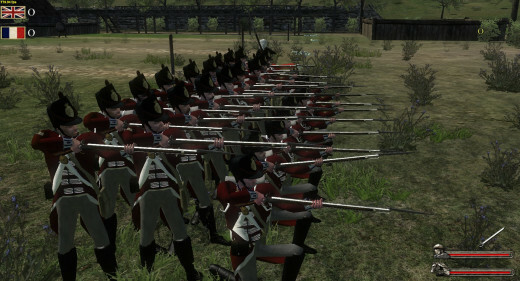 Cavalry, cannons, howitzers, sabers, muskets and rifles, and bayonets are an example of what you'll see in the game. Troop selections are even greater, you can be a musician, buffing friendly troops with faster reloads, faster movement, and better accuracy. Or decide to take on a role as an artillery troop, loading cannons and firing shots at enemy fortifications. There is complete destruction in this game. You can blow holes into walls and break windows to shoot out of in houses. Or become a sapper and create fortifications for your team and use TNT to blow open holes in walls. Things I've noticed that were interesting - Cannon rounds will be seen bouncing against the ground and leaving marks that you can walk over. There is also a very good physics engine in place here, making for realistic rocket trajectory and cannon ball trajectory. I've produced a Hub that speaks about Napoleonic Wars. Feel free to check it out. Customization - You can customize your character's gender, their face with an in-depth shaping system, their skin, hair, hair color, facial hair, and age. Nation Banner - You'll be asked about a nation banner once you've created or edited a character. This is purely for cosmetic reasons, it will show your banner on the shield you're currently using and it will be displayed in a circle portrait above your head for teammates to see and to know you're an ally. Blood - Something I noticed about Warband if you have the blood setting on, you can see your character become wounded, and areas around the wound will be bloody. You can also be covered in blood from your enemies. 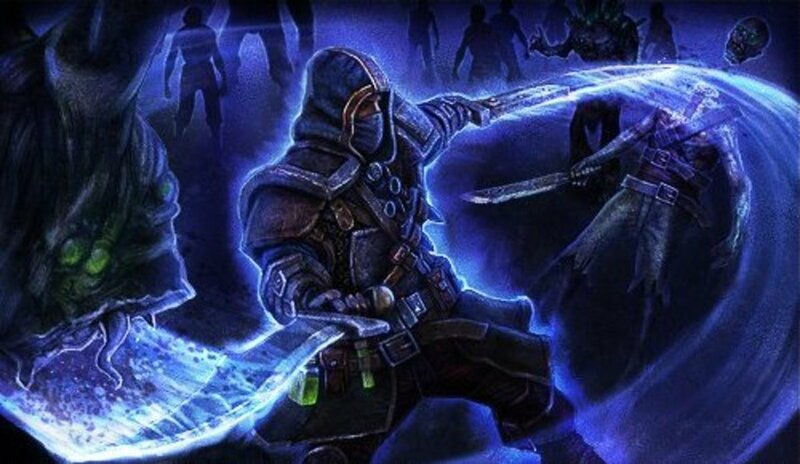 Swing a two handed sword in a group of enemies, you might walk away with a blood caked blade and your arms, hands, and sleeves coated in the stuff. Momentum - Your character's movement is at jogging speed, the longer you hold down the move button, your character will build up running speed momentum. This can give you an edge to avoid archer arrows when making a dash for a castle door, or can help you catch up to enemies. There is no stamina in Mount Blade, so don't worry if you keep missing your swings on an enemy. Simply worry about your health, and the condition of your shield. Chivalry - Chivalry is a medieval fighter game. But it is not anything Warband does. Chivalry follows more of a Call of Duty type map design. The maps are pretty big, but they aren't battlefields, they include several shortcuts, other paths to flank around enemy positions. The combat is faster paced. Chivalry uses stamina, regenerating health. The weapons are split into different types and armor is just cosmetic for the most part, the classes are what makes the differences, Vanguards and Knights have more health then Archers and Man at Arms. Combat is about using different direction attacks (Overhead, stab, swipes), there is only one type of block, and shields are unbreakable. 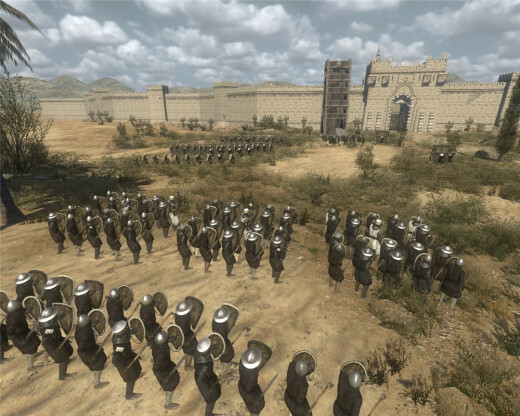 Warband - Warband is more of a battlefield map type game. The action is slower, the maps are bigger including entire castles you can scale, and run around throughout inside. The combat has more depth then simply blocking at the right time. There's cavalry roles, archer roles, and foot soldiers, there's siege equipment like siege towers you can use, ladders. You choose your armor and it has protection value and ratings. Mount and Blade is an excellent game. I've put around 250 hours into it and I spend a lot of the time playing Napoleonic wars. If you're unsure of how you'll like the game, you can download a free trial version that won't expire, there is no online gameplay, but you can try out the combat with a free quick battle mode included, that pits you and your nation's army of AI against another army of AI (artificial intelligence). I'd recommend this game to anyone interested in a fictional but historically accurate world, and anyone interested in multiplayer battle games. There are tons of game modes to choose from for multiplayer. Also, Mount and Blade Warband and Napoleonic Wars are not very taxing games for your system. You can have over 100 players. 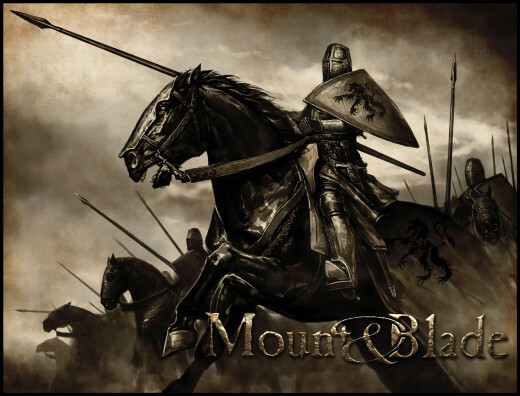 Mount and blade isn't the prettiest looking of games, but it makes up for in gameplay.